You have probably heard that Honda NSX (Acura NSX in the States) is one of the most expensive sports cars ever made by Japanese manufacturers. 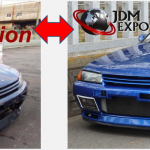 Have you ever wondered why it is actually more expensive compared to other JDM sports vehicles? To find an answer for this question, let’s pay a little attention to Honda NSX’s development process and capabilities. 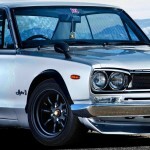 Initially, in the mid-1980s also known as the golden development period of Japanese car manufacturers, Honda committed itself to develop a car in order to beat the world’s top sports car manufacturers from Italy and Germany. This resulted in the development of Honda NSX which was originally targeted to rival the Ferrari 328 – the fastest and perhaps the most expensive cars of the time. Later on in the late 1980s, the plan was revised to beat the newly produced Ferrari 348 of Ferrari. This resulted in the development of the rear-wheel drive two-seated Honda NSX with an all-aluminum body powered by an all-aluminum powerful V6 engine which featured Honda’s unique VTEC(Variable Valve Timing and Lift Electronic Control) systems. The Bodywork design of the car was specifically researched through studying the 360 degree visibility inside a legendary F-16 fighter jet cockpit. Thematically, the F-16 came into play in the exterior design as well as establishing the conceptual goals of the NSX, resulting in optimized visibility of the car – Honda NSX, while the long tail design of it enhancing high speed directional stability of the car. After all its developments, when the Honda NSX was first unveiled at the 1989 Tokyo Motor Show, it was nothing short of a revolution, offering performance to rival the established competition produced by the likes of Ferrari through intelligent design. It was also the first production car to utilize a lightweight and incredibly strong aluminum monocoque chassis, together with never-seen-before-seen accessibility. 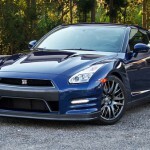 Perhaps, it was the most technologically advanced car ever built during its time of the production! However, apart from everything, up until today the most credit for Honda NSX given to its reliable. It’s probably the most reliable sports car even after 200,000 kms of its life mileage, still running like a champ. As for the price of the car, the most people would range them from 60,000 USD to 80,000 and 100,000 USD depending on its condition. 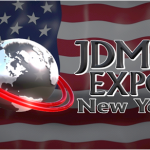 However, at JDM EXPO, we offers you the top quality Honda NSXs from Japanese domestic market at the most competitive prices in anywhere around the globe. 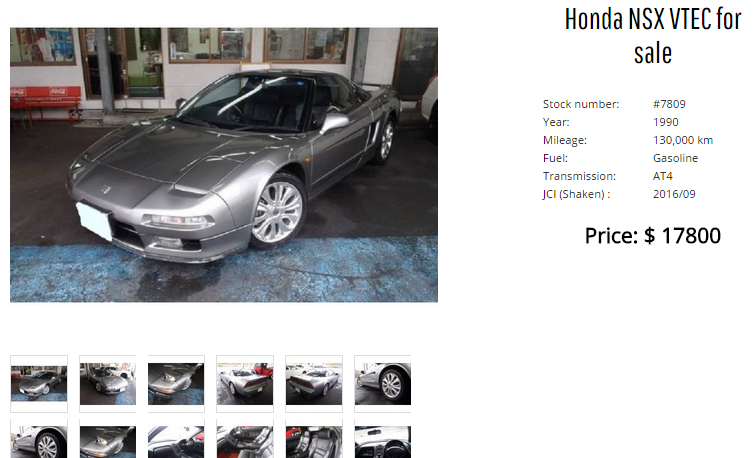 We already have 10s of Honda NSXs available in our stock ranging from incredibly 17,000 USD to all the way up to 70,000 USD while all being in a great condition without any issues or accidents. We also deliver the purchase Honda NSXs in anywhere around the globe and the most of our Honda NSXs are available to export to the USA under 25 years old rule. Feel free to check out our available Honda NSXs at our stock and don’t hesitate to ask any questions that you might have. Click on the picture below to learn more about the shown vehicle!